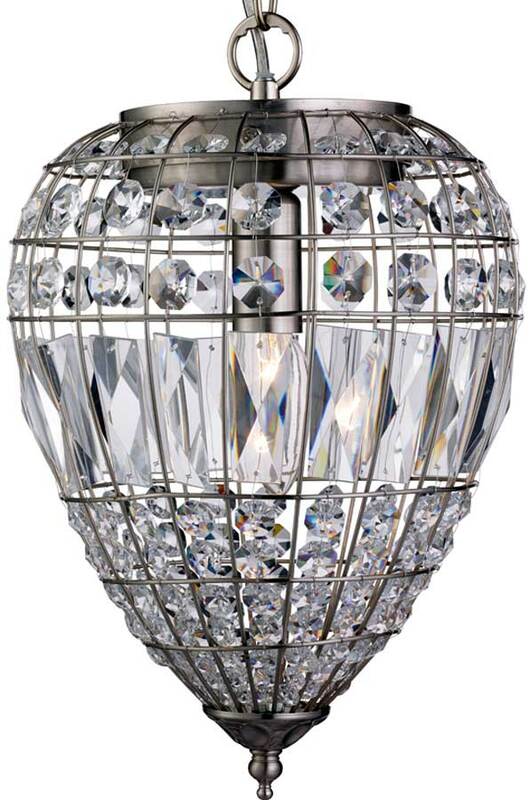 A stunning traditional ceiling light, with a satin silver acorn shaped cage shade inset with masses of high quality crystal glass buttons and sparkling coffin drops. Matching chain link suspension, central lamp holder and circular ceiling mount completes the classic design. This elegant pendant light is height adjustable at the time of installation to a maximum drop of 93cm making it a great choice for hallways, living rooms and even bedrooms with a higher ceiling level. Other finishes in this decorative lighting range can be viewed below and include antique brass.